Out-of-town and international travellers can contact Flight Centre Business Travel for custom flight and accommodation packages. 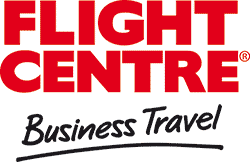 Bookings through Flight Centre Business Travel do not include attendance tickets to the ThinkSales Sales Leadership Convention, tickets must be purchased separately via the ThinkSales Convention website. Click below to book any of the selected hotels located in Sandton and Morningside.